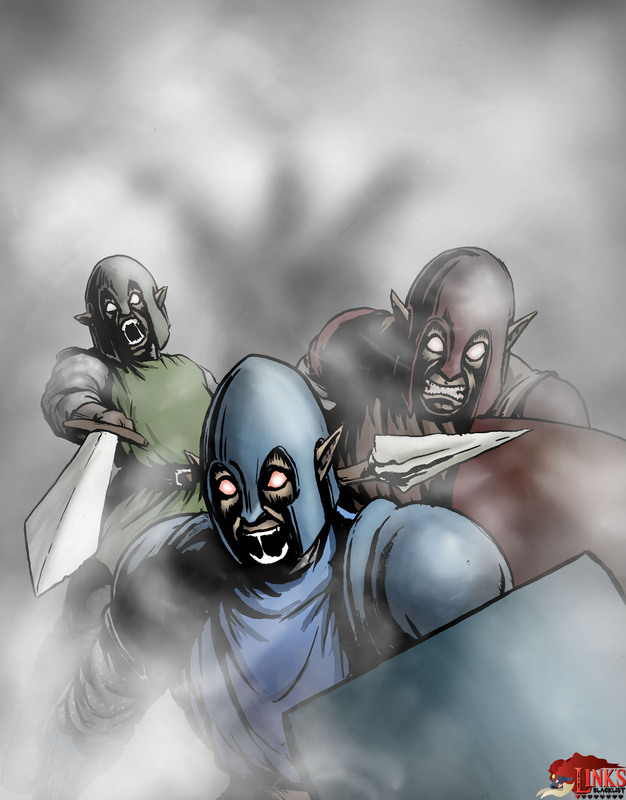 The Castle Guards are a recurring group of hylian soldiers in the Legend of Zelda games since Zelda: ALTTP. In this game they were manipulated and even corrupted by the sorcerer Agahnim who uses them as a force against the population of Hyrule and Link who has to fight them very often in the game. Noteable is that the friendly Castle Guards wear golden armor and the corrupt ones have Red, Green and Blue armors. Once Agahnim is defeated, they return to normal. Since these enemies are quite unpopular it was a surprise that Carl Andrew Chrappa wanted to draw them in the second round of Link’s Blacklist already. Hello! Thanks for viewing my painting and taking the time to read this! This is the Hyrule Guard for the video game ‘The Legend Of Zelda: A Link to the Past’. This took me right at 48 hours, but I (for the most part) am proud of it. I decided to go for a more heroic look. No one sees themself as the bad guy, and I think that the guards from the LttP were just trying to help. Anyway, I decided to give them a more idealistic image, almost as if from a recruitment poster. also, it is 1080p x 1920p, so it makes a good wallpaper. The Legend of Zelda game series is one of the most popular ones worldwide and running since 1986 already, but the majority of its characters is still rarely drawn if they are not named Link, Zelda, Ganon or Skull-Kid. We work on this Link’s Blacklist Project now since 2012, are at around 200 different drawn enemies and build up something here that was never done in a similar size and especially quality. 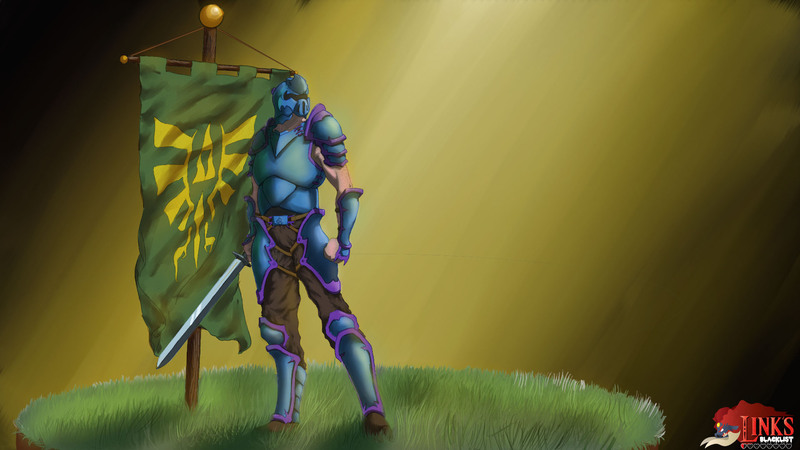 Thanks to guys like Eli Haun and many others we even get great looking fan arts together for the common enemies like the cursed or possessed Soldiers in Zelda: ALTTP. Thanks a ton for taking another one of the common enemies @Eli!